Do you struggle with bad breath everyday? Well, you won’t have to worry about that anymore as we’re going to share with you today the best gum for bad breath: the easy and instant solution to get rid of bad breath and tackle any conversation with confidence. Even those who follow a solid mouth cleaning routine each day by brushing their teeth, scraping their tongue and flossing can deal with bad breath, also known as halitosis. There are various reasons why that happens, but in today’s article we won’t focus on that. You want a quick fix, a solid fix for your problem and that’s exactly what you’re getting! Having a minty, fresh breath can deliver a huge boost to your confidence. It is also the key to establishing and maintaining great relationships – both on a personal level or for your business. That’s why having one of our recommended chewing gums nearby is a must: they can get you out of a smelly situation in an instant! And no, not all gums are created equal! If you want long-lasting effect, great taste and a perfect smell, you will have to choose one of our recommendations. We’ll share the top chewing gums for bad breath in a table below, then talk in depth about each one and why they’re such a great choice. Try to stay away from fruity flavors and other aromas. Although they do smell nice, on most occasions a classic minty breath works best than anything else. 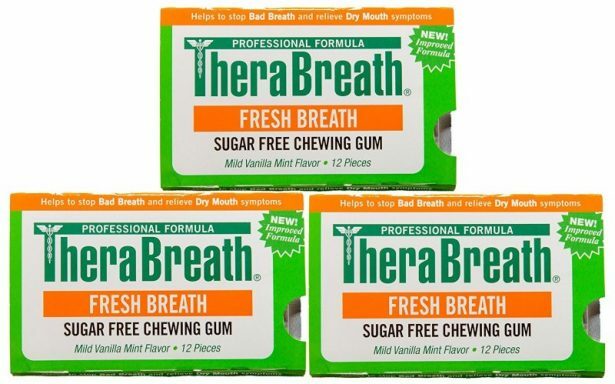 Fruit flavors can woo the right people, but you can’t go wrong with a minty breath! With these in mind, let’s find out more about our recommended gums for bad breath below! Strong, minty flavor with a vanilla touch. The flavor lasts long and also helps with dry mouth. 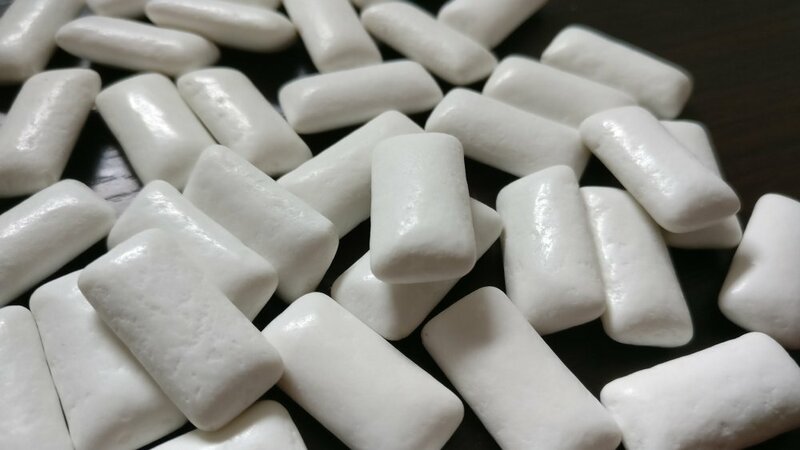 It contains Xylitol, which some studies have found to fight against bad-breath producing bacteria, so you’re really getting a great product that fights the cause as well as the bad smell itself. It is a great chewing gum built to eliminate strong odors, including onion and garlic odors, as well as coffee and smoking breath. Highly recommended and extremely popular, you just can’t go wrong with it. This is also one of the more popular chewing gums out there and it is mass produced. 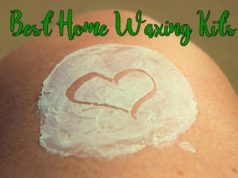 You can probably find it in most stores, but it’s best not to risk and get your own stash at home. 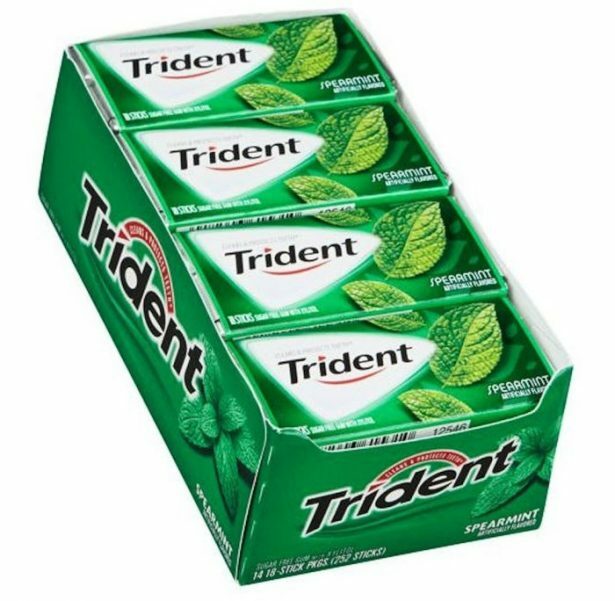 Recommended for keeping your teeth healthy and a minty breath throughout the day, the Trident Spearmint gum has a medium-lasting flavor, but it’s intense and beautiful at first. 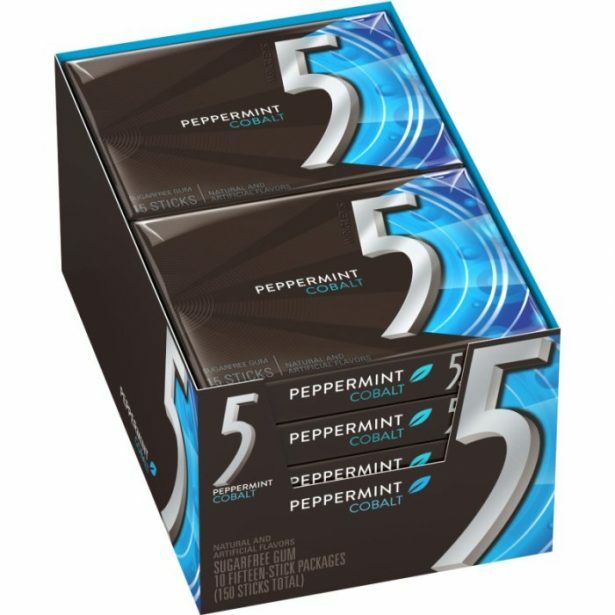 Also contains Xylitol, which makes it a very low calorie gum (under 5 per piece) and one that fights against bad breath producing bacteria. An incredible natural gum that brings a fresh ingredient to the mix: baking soda. 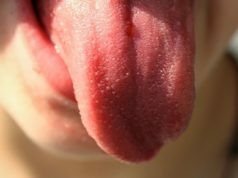 This, together with the Xylitol, helps eliminate bad breath and baking soda is recommended by some as a great mix for creating a homemade mouth rinse to keep your teeth healthy and breath fresh. 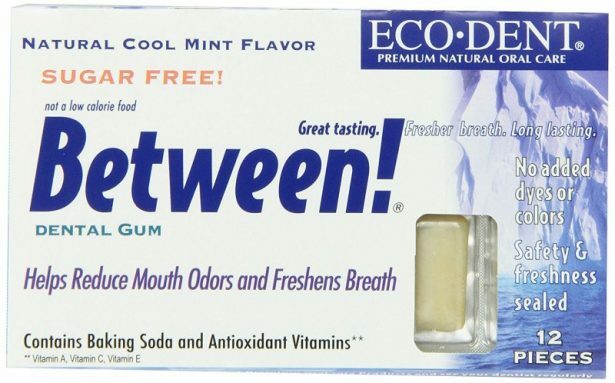 Well… with the Between Dental Gum, you just have to pop a piece or two and chew them! Voila! The flavor seems a bit strange at first, but it manages to grow on you and lasts for a decent amount of time. Minty and refreshing! Another mass market gum with decent flavor. It feels cold as ice when you first chew it and keeps your breath fresh for a long time. It’s great to keep the individual wrappers to easily store the stripes when you’re done chewing – makes it a lot easier to throw them away. This is also one of the gums that you can find on most market stalls out there, but it’s always easier to order online. 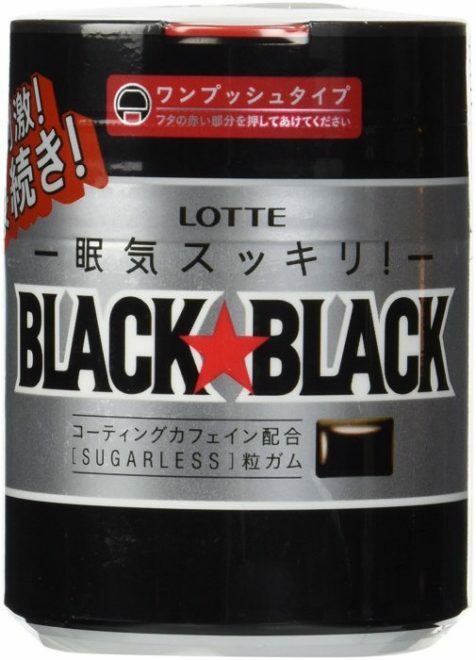 This is an extremely interesting product coming straight from Japan. One of its biggest selling points is that it contains caffeine for a boost of energy. 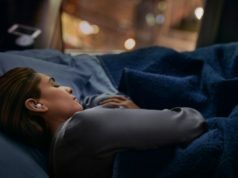 An interesting addition and something you have to try at least once just for the sake of it. Except for that, it has a minty flavor and your mouth won’t smell like coffee when you chew on this. Definitely give it a try, even though it’s a bit more expensive than the rest. Now you have some great chewing gums that will help you get rid of that bad breath and tackle each day with confidence. Just make sure you keep them close at all times!